On her last cruise, HMS Vanguard - the most powerful battleship in the Royal Navy - barely survived her encounter with a deadly new enemy. Now, with her commanding officer accused of everything from mutiny to dereliction of duty and her crew under a cloud, the Royal Navy doesn't quite know what to do with her. But there’s still a war on. And Vanguard must return to the front lines. 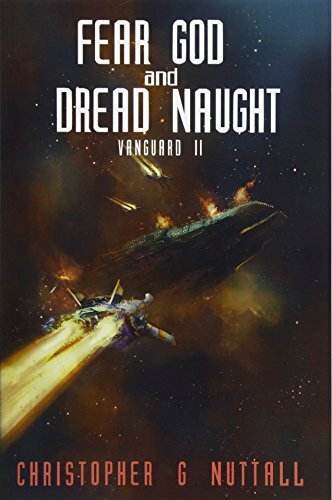 Assigned to a task force heading to assist humanity’s alien allies, Vanguard and her crew find themselves caught in a deadly alien trap. Can they survive to turn the tables on their enigmatic foe ... ... Or will their next encounter with the new enemies be their last?